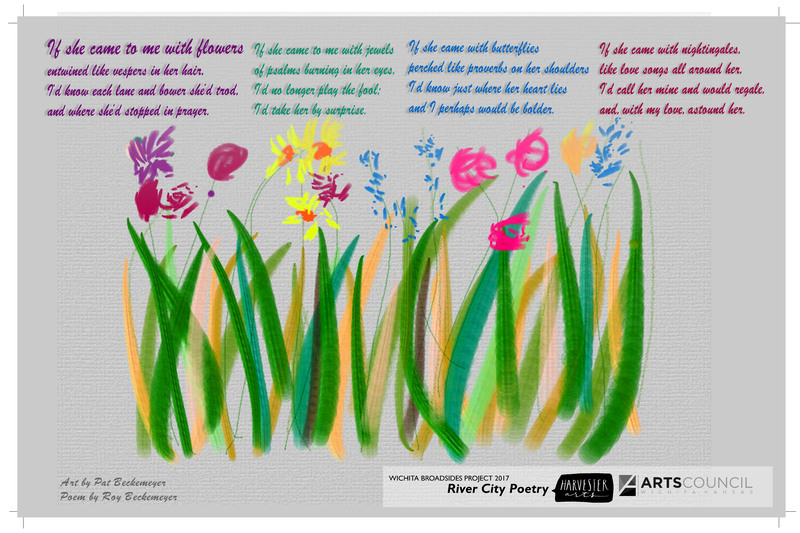 This broadside was done by my wife and me and is a combination of her lovely digital drawing of flowers and my verse. Her drawing has this lovely graceful impressionistic feel to it and reveals her Master Gardener flair for color and form. My poem attempts to capture the rhythm and feel of old romantic verse. We hope you like it. I love this; it is absolutely lyrically beautiful.